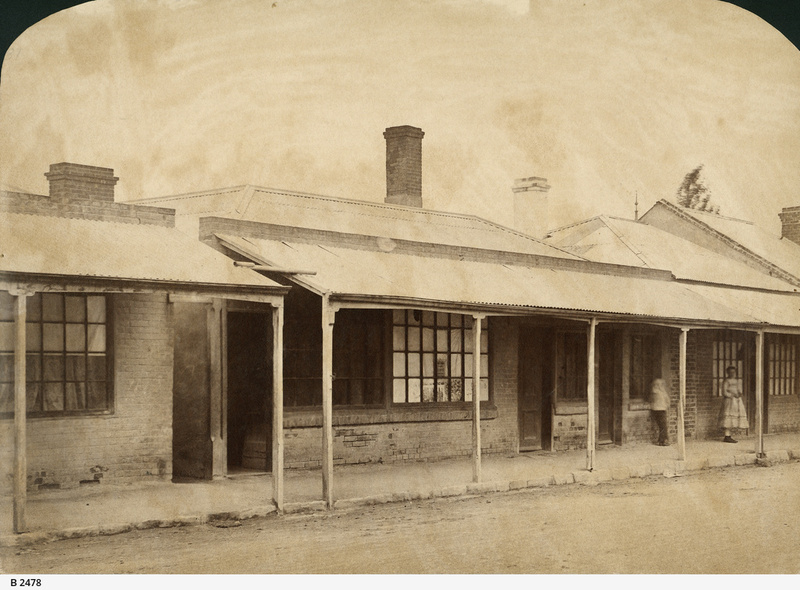 Gawler Place, Adelaide, east side, close to Pirie Street, featuring cottages with mullion windows. The galvanised iron roofs show that the date is after 1870. (Compare with Duryea's 1870 panorama.) This view was taken before the erection of the Onslow buildings on the corner of Pirie Street and Gawler Place. See B 2478 for one of the buildings, soon after completion. (They first appear in the 1886 directory.) See B 3162 and B 3257 for views taken in the early 1900s.